A fairytale wedding. An idyllic island honeymoon venue. A new husband who has money to burn and looks to die for, but still manages to be the most sensitive, thoughtful guy any girl could wish for. Especially a girl like Asha, bright and beautiful but mixed-race and with a background firmly rooted on the wrong side of the tracks. Well, everything, of course. This is mystery fiction, where nothing is ever as it seems, and the past can be guaranteed to catch up with you. In the best kind, the mystery remains a mystery until the very end, and so it is in The Other Couple. It's only Sarah Naughton's second novel for adults, but her long experience as a children's writer shines through; her characters have depth, her locations positively glow, and the plot twists and turns enough to make you dizzy. The narrative is structured in three time-frames: first the honeymoon, then a flash-forward to its aftermath, then back to the wedding day, and then moving between the three. Naughton juggles the various scenarios without a moment's confusion, releasing just enough information in each time-shift to keep the reader intrigued. Who are David and Sophie, the couple Asha and new husband Ollie meet at the resort? What is the secret Ollie's best friend Milo is determined to keep? Why is Ollie so troubled both at the wedding and on the honeymoon? And what happened a few months ago which left Asha so upset? It takes real skill to keep all the balls in the air, and Naughton has it in spades. The whole story is from Asha's perspective, which helps, but a lot of the time she is as much in the dark as the reader. Asha herself is a rich mix of strength and vulnerability: the former when she stands up to her snobbish in-laws and goes in search of answers to the many questions that arise; and the latter when things go horribly wrong both before and after the wedding. 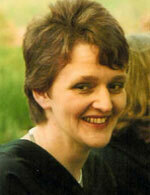 Other characters, too, are well drawn. Ollie's charm is far more than skin-deep. Zainab, Asha's best friend, is feisty and fiercely loyal. Some are a tad one-dimensional; Milo, for instance, has no redeeming features apart possibly from loyalty to some of his friends; and Asha's mother-in-law is unashamedly, and probably irredeemably, arrogant and high-handed. 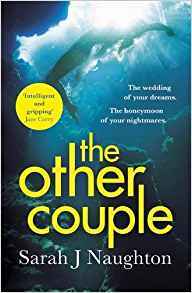 The Other Couple is definitely a treat for fans of psychological thrillers, and I look forward to seeing what Sarah J Naughton does next.